Hello friend! our very own Adebote Oluwaseyifunmi, one of the Editors here on www.itsallisay.com, has his short story "You are Dead, I am Not" long listed for Etisalat flash fiction competition 2016. Let's bring home this award with two clicks in few seconds, follow this link , click the thumbs up icon, authenticate with your facebook account and then click vote, under the story title (Use Chrome or UC Browser). Read an excerpt of the story, "You are Dead, I am Not!" below. "At 6, Grandma warned her against two things; riversides and cyber spaces, until last month when poor Granny died in her sleep, she constantly reminded Sandra about these two, without spelling out any reason. 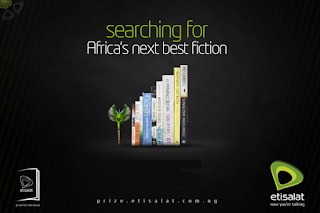 This link- https://prize.etisalat.com.ng/flash-fiction/voteall.php?id=472, leads to the full story, click the thumbs up icon to vote, authenticate with your facebook account and then click vote, just under the story title after redirecting. Let's do this together with two clicks in two weeks (ends November 30) and why not, please share with your network. Etisalat has at the core of its vision, to encourage and inspire creativity. Having this in mind, the Flash Fiction Award has been established in order to cater to the large amount of interest received from unpublished writers across the Continent. In order to garner some publicity for the art of flash fiction writing and the writers themselves, this category of the Prize will be open to the general public to review and contribute to the ultimately selection of a winner. 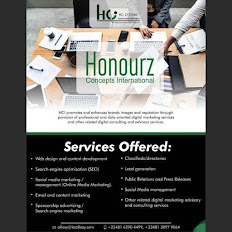 In today’s fast paced world where communication is right at our finger tips through the use of smart devices; phones, tablets and the likes, consumers prefer to consume information on-the-go and in bite sized chunks. The Flash Fiction Award therefore seeks to marry both of these concepts together thus providing added value to mobile device users across Africa.